She was cold and possessed an impenetrable heart of ice. He was filled with warmth and always seemed to smile. Not only that, but he had the unique ability to change those around him for the better. Can he save her from herself before she sinks further into her own darkness? Summary: That's where I've always been and that's where I want to be. Sometimes things in plain sight are what can't be seen but it's only when they are absent do you feel they are lost. Will Kakashi's promise to watch over Maiha after her Guardian's death push her away forever or will he realize that very promise could bring him the happiness he never thought he could have. Slow burner, please give it a chance. Placed under R18 for later chapter content. One Shot based on Chapter 3 of Reverse This Curse. When Rayne returns to Konoha after three years to speak to Tsunade, she runs into Izumo on the way. Now sixteen, the age Izumo had given her permission to ask him out, Rayne gains the nerve to ask him to dinner after his shift. Summary: Genma’s parties never did disappoint and though the gatherings were always entertaining they usually came with a twist. When two reserved shinobi are coerced into attending a themed gathering for their own benefit they learn that keys not only unlock doors but indulgent opportunities. KakashixOC. Mature audience only. Tomi had grown up, hiding behind her mask, the only thing she had of her father. She had grown up, hated by her mother. She had grown up, not knowing who she was, her own identity hidden like her face. Her life has always been slightly out of her hands, and when it seems to finally settle and she finds peace, her true identity sends it spiraling back out of control. Can she finally take control of her life, or will the constant twists and turns prove too much for her? Summary: [AU] Postwar. The first bought a Hyūga on sale, paying with his pride and honor. A good bargain, since he had little left to begin with. He only hoped it was a quality womb. The second sold off for the good of those to come. There was little to expect in the department of private life anyways. And the third suffered. SasuHinaKō. 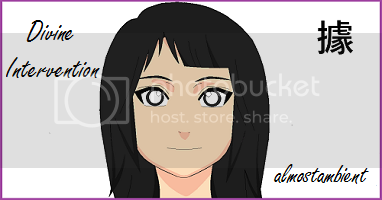 Summary: My name is Tsuki Uchiha, and I am the only female Uchiha left from my clan. After Itachi killed my family and his own, I had to try and carry out the name on my own. That is, until I found out Sasuke was still alive. You see, I never particularly liked Sasuke in anyway shape or form. I guess you could say I kind of hated the guy. So cocky and arrogant...Makes me wonder how he ever survived the massacre. But anyway, I’m headed back home. The first time since my family died. I still haven’t possessed the Sharingan yet, but I’m making it my life’s mission to be the first female in Uchiha history to possess it. I will be the strongest kunoichi there ever was. Summary: "Kakashi, I think it’s time to put a hole through my heart again. Don’t worry, this time I’ll do it myself." I have a few scenes from my Mind of Lies, Eyes of Truth fanfic that I skipped ahead to do because I was so excited to write them. They're good stand alone fanfics too. Spoilers if you want to read the whole thing in order! Spoilers to latest manga chapters! The one I have posted first is Kabuto's Death. 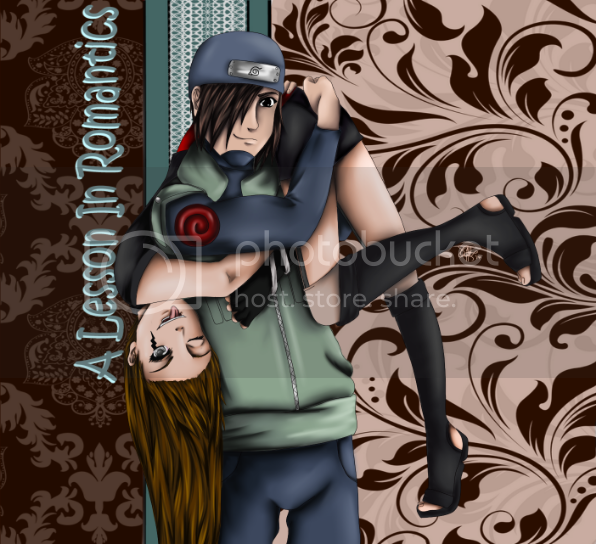 The second is Maia's confession to Itachi. Kabuto might have surrendered and saved the life of a valuable ninja, but one good deed could not redeem him of the atrocities he helped cause. His life needed to be put to an end. And the one that had to do it… was his own long lost sister. the protagonist is a cloud ninja. he's been sent to the leaf during the chuunin exam which forms the second arc of naruto. he's got a mision, and he's determined to fulfill it. I could put questions here, but I'm not that cheap. Summary: Jundo a beautiful and intriguing female with a life full of loneliness, and Itachi Uchiha, a brilliantly intelligent and outstanding shinobi known to all the nations as a maleficent man who would slaughter you and your family, if crossed paths. But what will Jundo think of this mysterious but gorgeously handsome male. A story of tragedy, romance, and a new birth of one of life's wondrous cycles. Summary: Jena was walking the path to be a shinobi when she moved to Konohagakure, Land of Fire, home to the Leaf Village. She stands out with this crowd. Everything about her is different. Her jutsu, her looks, everything. She meets the young avenger after her first day at the academy, making her ponder why he stands out to her. Feelings start to develope even though neither can see it. Can Jena's love stop Sasuke from turning to the darkside?